The importance of Rustaveli Avenue is hard to overstate. Besides its historical value, Tbilisi’s main thoroughfare has long functioned as one of the city’s most vital political stages. Occupy Rustaveli, and Tbilisi grinds to a halt (de Waal 2010, 46-48). Strolling along the avenue, tourists and locals alike will eventually come across the Georgian parliament building, the steps in front of which have for months been endowed with a handful of makeshift tents, displaying flags and political manifestations. These public displays of discontent are hard to miss. Yet, while the occasional tourist may momentarily stall their tour of Tbilisi to stare in wonder, most Georgians on the contrary seem to have grown accustomed to the presence of these structures. Having become part and parcel of the city, their ability to surprise and thereby create a political effect has dwindled, as passersby on their daily commute pay these edifices little heed. Rustaveli appears to have become – temporarily, at least – a stage devoid of spectators. Notwithstanding this temporary oblivion, Rustaveli’s political potential has frequently been put to more effective use. It is there that independent Georgia was (re)born – albeit violently – in April 1989, and it is with good reason that Georgian writer Guram Odisharia (2008) entitles it “Avenue of Presidential Undoing.” The present leftovers of protests are but vague reminders of demands left unmet as public attention has wavered. Unmet demands and broken promises, Odisharia laments, constitute the lion’s share of Georgia’s political culture. The chasm between rose-tinted visions of the future proffered by successive Georgian presidents and the Georgian reality remains all too wide. Rustaveli’s pivotal role in Georgian politics is undoubtedly also the result of the widespread polarisation in Georgian politics. The people are quick to take to the streets. At the same time, this very same polarisation renders the exercise of collective political action such as protests and demonstrations – so crucial to democracy – more difficult. 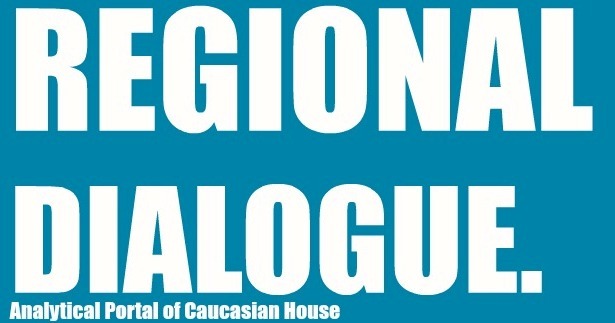 To be sure, polarisation is far from unique to Georgia, but the country’s conditions do affect some of the specificities of it: its unresolved conflicts over Abkhazia and South Ossetia are extremely sensitive issues; speaking of relations with its large northern neighbour frequently result in allegations of being ‘agents of the Kremlin’; seeking rapprochement with the EU invites accusations of undermining the country’s ‘traditional values.’ Altogether, the intense polarisation on these issues obscures the ideological monotonousness of Georgia’s main political parties – Georgian Dream and United National Movement – and simultaneously renders effective political action to advocate real change and alternative visions of society more difficult. Before continuing, however, let’s pause to briefly reflect on the use and misuse of the concept of polarisation. 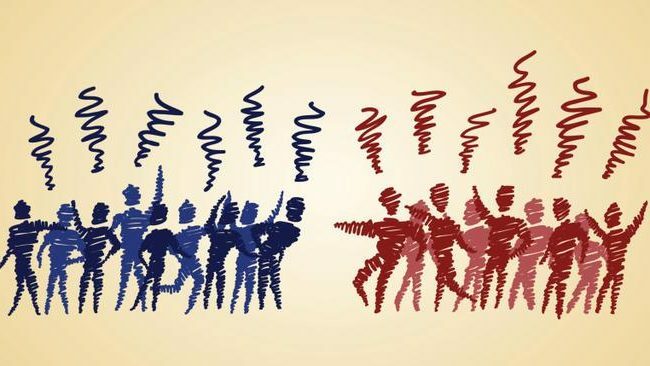 In societies throughout the world, concerns are increasingly raised over an apparent increase in polarisation in political debates as well as in society as a whole. This is no less true of Georgia. At the same time it is important to bear in mind that polarisation as such need not be problematic. On the contrary, for a healthy collective democratic life, some degree of polarisation may even be necessary. Belgian political philosopher Chantal Mouffe, for example, points out that fundamental disagreements are ultimately ineradicable in any democratic society, and that eliminating them is moreover normatively undesirable. A complete absence of polarisation indicates insufficient plurality of comprehensive political standpoints and as such undermines productive democratic deliberation. Some degree of polarisation, thus, is a precondition for a healthy and functioning democracy. German chancellor Angela Merkel frequently referred to her government’s policies on the Eurocrisis as “Alternativlos” – without alternative. Similarly, at the end of the Cold War, American political scientist Francis Fukuyama famously proclaimed ‘the end of history,’ maintaining that historical developments had shown that the combination of Western-style liberal democracy and capitalism was without alternative, and it would only be a matter of time for the rest of the world to adapt to these forms of collective life. But nothing is ever without alternative. To maintain that there is only one possibility is to endanger productive democratic deliberation. In a fundamental sense, such deliberation enables societies to collectively engage in debates over who they are as a community, what kind of world they want to live in, and which future they strive for. None of those questions make sense if there is no alternative in the first place. And for alternatives to exist, some degree of polarisation is required. The task is to productively channel such polarisations and different visions of society. Either too much or too little polarisation will ultimately undermine any society’s efforts to engage in productive collective deliberation. Too much erodes the possibility for different groups to find common ground; too little obscures alternative visions of societies and policies that might exist. To be sure, the brief reflection offered here is oversimplified. Nonetheless, at first glimpse the polarisation characterising Georgia’s political sphere appears somewhat paradoxical. As American political theorist Robert Dahl (1966, 397) observed with regard to opposition, the problem of Georgia’s polarisation is that “there is either too much or too little.” Part of this has to do with the way in which Georgian politicians have tended to operate since independence. Let’s call this the ‘style’ of Georgian politicians. Another part relates to the specific conditions in which these politicians operate. These two are, of course, related. Stylistically, much of Georgia’s recent political history is characterised by a large degree of “messianism” (Sikharulidze 2016) or “grotesqueness” (Berekashvili 2015). Institutionally, the rise to power Mikheil Saakashvili after the Rose Revolution seems to have brought some of the changes longed for ever since Georgia’s independence. His predecessor, Eduard Shevardnadze, was, after all, a member of the old Soviet nomenklatura. In terms of style, however, Saakashvili sang the same old song: a strong personality promising to ‘save’ the country from its ills, opposition to whom was consistently portrayed as betrayal by enemies of the people or agents of the Kremlin. This style of denouncing opponents not by means of political argument but by disingenuously trying to undermine their credibility dates back to independent Georgia’s troubled early days. Stephen Jones (2013) calls this the ‘Gamsakhurdia phenomenon,’ although arguably almost everyone seeking to lead Georgia towards independence at the time was to some degree guilty of smearing their opponents. Today, Georgian politicians seem less grotesque. Neither Salome Zurabashvili nor Grigol Vashadze, her primary opponent during the October 2018 parliamentary elections, seem as charismatic – or as authoritarian – as Gamsakhurdia and Saakashvili tended to be. Despite this apparent change, however, the ubiquity of vilifying opponents as one the country’s foremost political tactics has hardly diminished. Part of the reason for this lies, I believe, in the fact that Georgia’s (geo)political conditions simply make this an easy and, for many, believable way to engage in politics. Broadly speaking, three types of issues exacerbate this situation: economical questions, Soviet history, and Georgia’s conflicts over Abkhazia and South Ossetia, often viewed as conflicts with Russia or Russian occupations in Georgia. Economically, the aforementioned ‘Alternativlösigkeit’ frequently rears its ugly head. Transition from a state-regulated economy to a free market economy is never easy. Focusing just on the former Soviet Union, only the Baltic States – particularly Estonia – seem to have made the transition in successful and orderly manner. In Georgia, the rapid market liberalisation started in the early Saakashvili era has had both favourable and unfavourable results. In the World Bank’s 2018 ‘Ease of Doing Business Index,’ Georgia ranks 6th in the world (World Bank 2018). While some of these result from streamlining infamous post-Soviet bureaucracies and have managed to attract much-required foreign investments, income and living standards for most Georgians have hardly improved. Challenging the official unemployment rate of 11,8%, a 2018 policy study shows that over half of Georgia’s employed population is self-employed. Of those who are self-employed, over 80% are employed in agriculture (mostly subsistence farming), which accounts for a mere 8% of the entire economy (Godar et al. 2018). 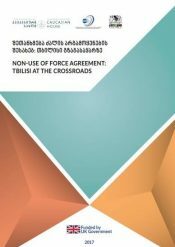 The problems faced by the Georgian economy – of which the above is only a brief glimpse – are rarely addressed seriously because of “ideological door-locking” (Godar et al. 2018, 52). Neoliberal ideology is renowned for presenting itself as the only real possibility by either obscuring or devouring all others – this is not unique to Georgia. Georgia differs, however, from many western European countries in its Soviet History. Although a 2015 found that only 3% of respondents considered social security policies to be a return to Soviet policies (Mezvrishvili 2015), politicians often use Georgia’s Soviet past as a way of maintaining that there is only one way for the country to move forwards, delegitimising any policy perceived as socialist or social democratic as a step – if not a leap – backwards. Trade Unions, for example, however vital for labourers to collectively challenge corporations and government policies, tend to be viewed as outdated ex-communist institutions (Jones 2013, 128). Criticising and protesting such neoliberal reforms is thus significantly more challenging in the Georgian context, an experience reflected in other post-Communist states (Horvat & Štiks 2015). A recently published study, for example, criticises the coverage of the Georgian weekly analytical programme ‘42nd Parallel,’ alleging that it echoes Russian media and Georgian pro-Kremlin parties by criticising the EU over its economic policies towards Greece during the Eurocrisis (Kintsurashvili et al. 2019), disregarding the fact that similar criticisms are ubiquitous within the EU itself, and are neither thought of in terms of EU-Russia relations, nor necessarily voiced by those sceptical of the EU as an institution. What matters here is not the various positions on specific EU-policies. Instead, on the one hand, partially due to the Soviet legacy some economic policies tend to be off the table from the outset. On the other hand, arguments concerning such policies are easily accepted or dismissed in terms of their resemblance to Russian government- and media positions. Which brings us to the proverbial elephant in the room. 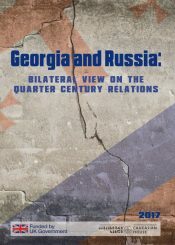 Georgia’s unresolved conflicts over Abkhazia and South Ossetia are by and large perceived as Georgian-Russian conflicts (Kabachnik et al. 2012). While these conflicts exacerbate and provide (perceived) legitimacy to attempts to portray political opponents as Russian agents (and therefore not worth listening to), this practice extends beyond these conflicts, content-wise as well as historically. Historically, such aggressive defamation dates back to at least Zviad Gamsakhurdia (Jones 2013, 56). Although often not justified, the effectiveness of accusing one’s political opponents of being ‘agents of the Kremlin’ is understandable. And while today the situation differs greatly from that of 1990, these changed conditions still explain much about the resonance that such denunciations may have. Allegations of far-right groups receiving covert Russian support are not unique to Georgia. They do, however, acquire more traction here given the political situation. At the end of the day, whether or not these groups actually are supported by Russia – be it ideologically, financially, or otherwise – is simply beside the point. It provides an easy distraction from focusing on the actual content of the ideologies that are at stake. The result is that, on the one hand, some issues are off the table a priori; fear of being labeled pro-Russian prevents many issues pertaining to Georgian-Russian relations – essential given Russia’s proximity and inevitable geopolitical preponderance – from being properly discussed. On the other hand, the issues that are raised are often not discussed in terms of their political content and on the basis of the merits of their arguments, but quickly spiral down into a shouting match aimed at demonstrating that one’s opponent is more pro-Russian that oneself. The need to appear different: compensating for insufficient ideological disagreements? Hence, to briefly recap, Georgian politics on the one hand seems characterised by intense polarisation over politicians’ respective (alleged) attitudes towards Russia and the EU, and on the other hand by an apparent absence of real ideological differences among the established parties. In a somewhat paradoxical way, these work hand in hand to create a stalemate in Georgian politics. The country’s main political parties are often hard to distinguish from one another in terms of their political programmes. Indeed, as Tako Getsadze (2013) argues, Georgian parties don’t campaign on a coherent ideological basis, but against their opponents: in 2004, Georgians overwhelmingly voted for Saakashvili because he was not Shevardnadze; in 2012, the electorate chose Ivanishvili because he was not Saakashvili. Given Georgia’s aforementioned geopolitical situation and its relation with Russia, denouncing one’s opponents then easily becomes a valuable campaign strategy. Hence, one question must be posed to and about Georgia’s political parties: what difference does it make? One of Georgia’s problems is that, in terms of ideology, it simply doesn’t make much difference. Indeed, most major parties in Georgia are hard to distinguish in terms of their content – a problem usual for so-called ‘big tent’ parties. The lack of proper ideological differences forces parties to answer that they are not the other party, not pro-Russian, not corrupt, as opposed to their opponents. Ultimately, this undermines productive democratic deliberation and political action; these rely on an honest (and sufficiently polarised, i.e. distinguishable) exchange of arguments and positions, and not on messianism and ‘Alternativlösigkeit.’ No party or politician is going to be the ‘saviour’ of the Georgian nation; they can, however, contribute to the country’s progress by coherently articulating an ideology translated into policies which they believe will help the country forward. In Georgia’s contemporary situation, this is a challenge: it is not only easy to maintain the tried and tested method of resorting to personalities and denunciations; deviating from that pattern might also swiftly invite such accusations. In Georgia, thus, too much polarisation on some issues obscure the lack of polarisation on others, while these two mutually maintain each other’s existence. If political parties truly want the country to move forward, they need to find a way to get out of that trap. Berekashvili, Bakar. 2015. “Georgia’s Grotesque Democracy,” openDemocracy, 26-10-2015. Accessed on 13-03-2018 via https://www.opendemocracy.net/en/odr/georgia-s-grotesque-democracy/. Dahl, Robert A. 1966. Political Opposition in Western Democracies. New Haven: Yale University Press. Foucault, Michel. 2008. The Birth of Biopolitics, Lectures at Collège de France 1978-1979, translated by Graham Burchell. New York: Palgrave Macmillan. Getsadze, Toka. 2013. “The Role of Ideology in Georgian Politics.” Café Babel 19-11-2013. Accessed 25-03-2019 via https://cafebabel.com/en/article/the-role-of-ideology-in-georgian-politics-5ae008cdf723b35a145e4237/. Godar Sarah, Khundadze Tato and Truger Achim. 2018. “Striving for Shared Prosperity,” Centre for Social Studies Policy Study. Horvat, Srećko & Igor Štiks (editors). 2015., Welcome to the Desert of Post-Socialism: Radical Politics After Yugoslavia. London: Verso. Jones, Steven. 2013. 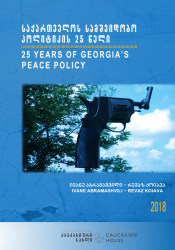 Georgia: A Political History Since Independence. London: I.B. Tauris. Peter Kabachnik, Joanna Regulska, and Beth Mitchneck, “Displacing Blame: Georgian Internally Displaced Person Perspectives of the Georgian-Abkhazian Conflict.” Ethnopolitics 11/2 (2012): 123-140. Kintsurashvili, Tamar, Sopo Gelava, and Ana Chitaladze. 2019. “Informing Ethnic Minorities on Georgia’s Euro-Atlantic Integration.” Tbilisi: Media Development Foundation 14-03-2019, 43. 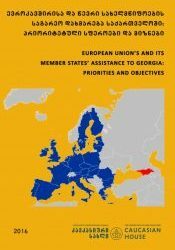 Accessed 19-03-2019 via https://www.scribd.com/document/401873994/INFORMING-ETHNIC-MINORITIES-ON-GEORGIA-S-EURO-ATLANTIC-INTEGRATION#from_embed. Lebanidze, Bidzina. 2019. “Rise of Nationalist Populism in Georgia: Implications for European Integration.” Georgian Institute of Politics Policy Brief, March 2019. Accessed on 20-03-2019 via http://gip.ge/wp-content/uploads/2019/03/Policy-brief-18-Bidzina-Lebanidze-1.pdf. Mezvrishvili, Lia. 2015. “Georgia In the post-Democratic Era.” In Marina Muskhelishvili, Lia Mezvrishvili, Ivane Kechakhmadze, and Mariam Iakobidze, The Choice. Tbilisi: Centre for Social Studies. Odisharia, Guram. 2008. “Rustaveli Avenue.” In Andrey Kurkov (editor), Histories of Hope in the First Person. London: European Bank for Reconstruction and Development. RadioFreeEurope/RadioLiberty. 2009. “Georgian Foreign Minister Renounces Russian Citizenship,” RFE/RL 06-11-2009. Accessed on 20-03-2019 via https://www.rferl.org/a/Georgian_Foreign_Minister_Renounces_Russian_Citizenship/1870936.html. Sikharulidze, Archil. 2018. “Big trouble in little Georgia.” openDemocracy, 06-10-2016. Accessed on 13-03-2018 via https://www.opendemocracy.net/en/odr/big-trouble-in-little-georgia/. Svanidze, Tako. 2018. “Georgia’s growing cultural divide: a sign of far-right populism?” openDemocracy 16-07-2018. Accessed on 20-03-2019 via https://www.opendemocracy.net/en/odr/georgia-growing-cultural-divide/. Waal, Thomas de. 2010. The Caucasus: An Introduction. Oxford: Oxford University Press. See, for example, Foucault (2008) or Brown (2015). One of the most prominent advocates of arguments similar to those advanced on the ‘42nd Parallel’ show is German-French political scientist Ulrike Guérot; she is also one of the most prominent proponents of stronger and more democratic EU-institutions.